Thanks to the Integrated online Payment System advertisers can easily add funds directly inside his account with PayPal, Paxum, Payoneer, WebMoney. 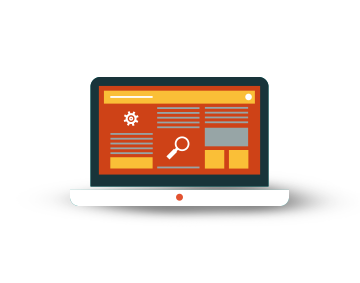 The online funds are immediately available on advertisers’ accounts and he can start creating advertising campaigns losing no time . In case of wire transfer, the administrator has to manually charge advertiser’s account with the amount added. This features allows to add funds in real time, check the payment history anytime, keep track of all the financial movements and get invoices. 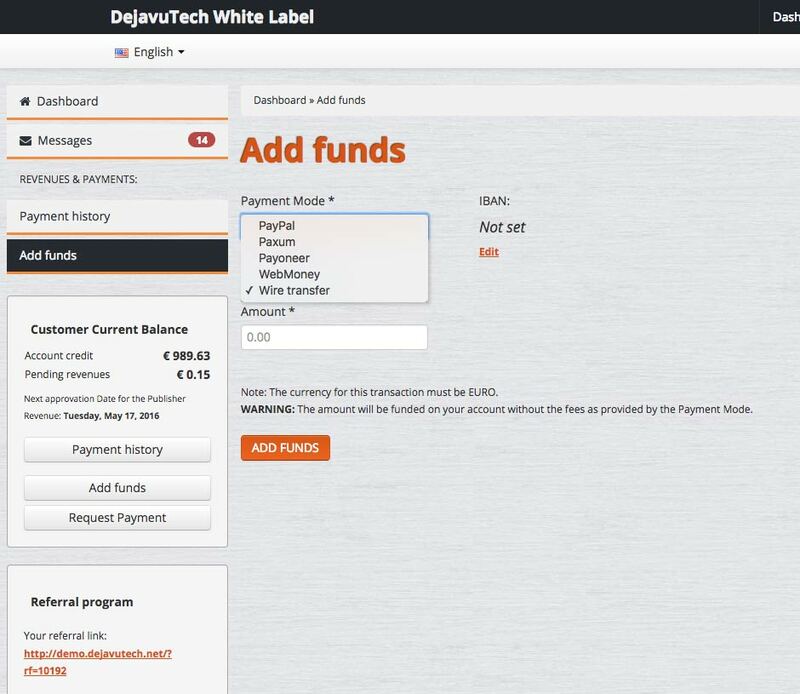 Thanks to the Integrated Online Payment System publishers can easily receive payments directly from the platform. This function allows to check the revenues and payments history anytime, keep track of all the financial movements and get payments choosing between several methods such as PayPal, Paxum, Payoneer, WebMoney or via wire transfer. The Administrator of the White Label has to supervise all these activities, approving revenues and withdrawals. After his approval, the funds are immediately available on publishers’ account. Then, the publisher can require the payment of his revenues. 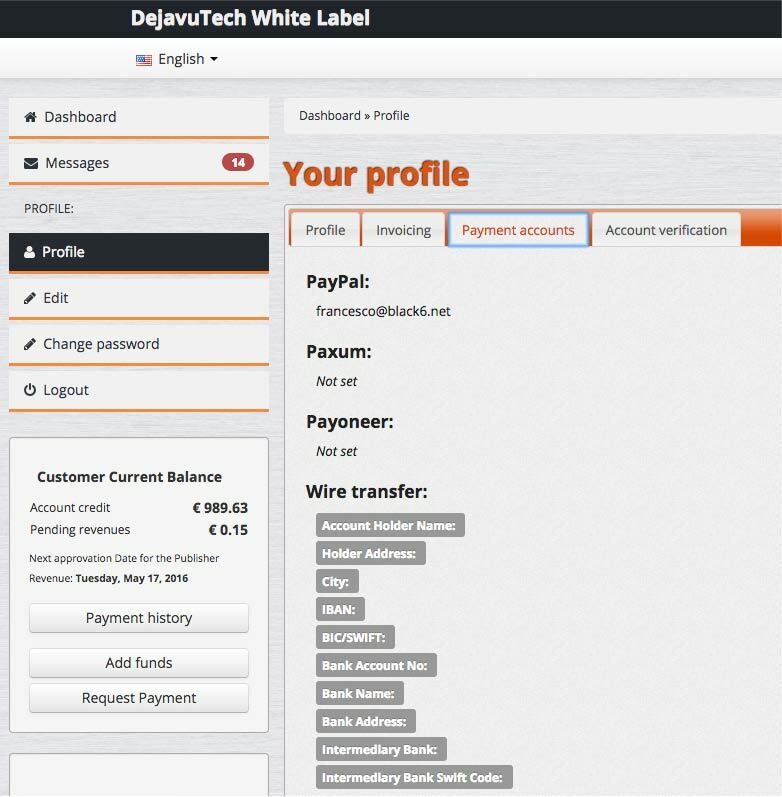 The administrator of the White Label is able to make several payments at the same time directly from the platform. This feature allows the administrator to save time making simultaneous payments.